Breaking Bad: "Guess I Got What I Deserved"
Stop reading now if you haven't seen the finale. Who is the rabid dog, Jesse or Hank? 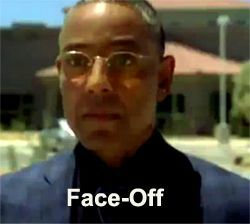 Series Creator Vince Gilligan explains last night's finale of Breaking Bad in a must-read article in the New York Times. Update: My review of tonight's finale is here. Almost all my predictions were wrong. Only 10 minutes until the season finale of Breaking Bad. It's airing at the same time on the East Coast and in Central and Mountain Time zones. Only the west coast has to wait. So if you are on the west coast, don't read the comments here until after you have seen the show. 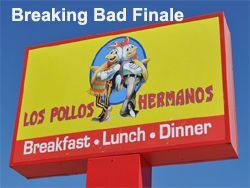 Breaking Bad Finale: Who Survives? Update: Almost all my predictions below were wrong. My recap of the finale and thoughts on next season are here. But don't read until after you've watched the show. 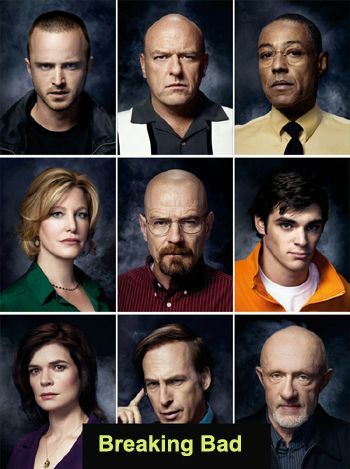 Even if you never watched Seasons 1-3, don't miss tonight's premiere of AMC's Breaking Bad, Season 4. (8 PM, Denver Time) It's the best show on television. Here's a review (no spoilers) of tonight's episode, The Box Cutter. The author says: "Every note of these opening episodes is pitch perfect, building a slow crescendo of what looks to be an impressively strong season." While you're waiting, check out Nerve.com's clip of the best lines of "Better Call Saul", the show's sleazy defense lawyer. Bryan Cranston, the Emmy Award winning lead on AMC's "Breaking Bad" (where he plays a high school chemistry teacher who runs a meth lab while in remission from cancer) has a new series, available only on the web, called "The Handlers." As I said earlier, I turned off the Emmys after the Aaron Paul and Bryan Cranston won for Breaking Bad, my favorite show this year. That made my Emmy night. I've got jails aplenty to visit tommorrow, so in case I won't be around to put up a morning thread, here's one for you , all topics welcome.